To preserve the heritage of the watermen of the Chesapeake Bay. Interpret their culture and their contribution to the region. To provide and support educational opportunities. 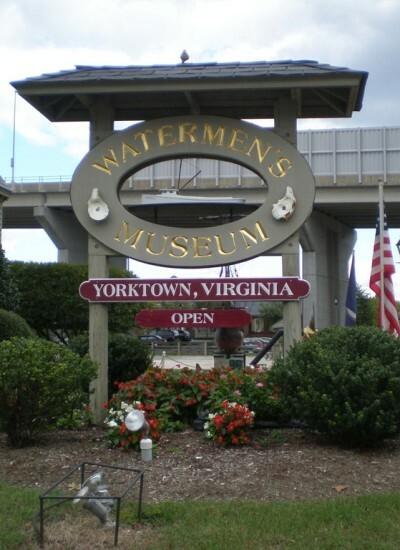 The Watermen’s Museum is a private non-profit museum located on the York River in historic Yorktown, VA. It was founded in 1981 as a part of the 200th anniversary celebration of the Battle of Yorktown. In October of 1781, American and French forces were fighting the British in the final battle of the Revolutionary War. Local watermen aided the French fleet, acting as pilots for their ships as they traveled our waterways. Much to the humiliation of the British, the French and American forces trapped the British army, at least in part because of the upper hand given to the French fleet aided by those knowledgeable pilots, keeping the British navy at bay. The original Museum was located in a small brick building (which was used as a Gift Shop until Hurricane Isabel) on a piece of riverfront property donated by Mrs. Bowditch. In 1986, Mr. and Mrs. Kubicki (Bob and Jan) donated the existing museum building and several smaller out buildings which were located on the opposite shore of the York River, on condition that Mrs. Bowditch would raise the funds necessary to move them across the River to their present location. Marian and her friends raised the funds and the buildings were moved in 1987. After much work and renovation, the existing Museum, with about 2,200 sq. ft. of exhibit space, was opened in 1989 and the original building was converted into a Gift Shop which became one of the best of its kind in the entire area. Born in Bath, NY, Steve was the founder, former owner and CEO of Alpha-Omega Change Engineering (AOCE), a services contractor supporting government agencies, including Department of Defense activities. He is an independent consultant in organizational development and improvement; a proven education/training developer, instructor, and manager; and a certified Lean Six Sigma Black Belt. He is an experienced U.S. Air Force aircraft maintenance and organizational management leader, retiring at the rank of Chief Master Sergeant (E9). Steve has also served on the Board of Directors for “Bridges to Prosperity,” a non-governmental global charity providing footbridge construction training and installation to impoverished villages around the world. He was the church senior warden for five years and is actively involved in music, information technology, community outreach, and financial management for Abingdon Episcopal Church in Gloucester VA. He supports Watermen’s Museum activities as the Board President, strategic planner, daily operations leader, events manager, grant writer and volunteer. Steve lives in the Guinea area of Gloucester County. He has been married to his wife, Diane, since 1981. They have four grown children, Danielle, Kelly, DeVin, and Kristofer, and seven grandchildren. Born in Newport News in 1952, Phil grew up on Main Street in Colonial Yorktown. He graduated from York High School in 1971, and Averett College in 1975 with a Business Management and Marketing degree. In 1977, Phil obtained his Real Estate Salesman license and began his real estate career with Abbitt Realty. In 1980, Phil successfully completed the required courses and testing to obtain his Real Estate Broker’s license. From 1982 to 1993, Phil owned and managed Shirley and Bowditch Realty. In 1993, Phil associated with Better Homes and Gardens. In 2000, Better Homes and Gardens was bought out by GMAC and Phil terminated the association. Today, Phil Bowditch is an independent broker and maintains an office in historic Hilton Village. With his brother David, Phil operates and manages the Hornsby House, a beautiful bed and breakfast location on Main Street in Yorktown. Phil supports Watermen’s Museum activities as the Board vice President, events manager, and volunteer. Phil lives in the Riverside area of Newport News with Lee, his bride of 24 years. He has a son, Gray, and a daughter, Lisa. The Chesapeake Bay plays a vital role in our lives and culture. For more than 35 years, the Watermen’s Museum has shared the stories of the men and women who have worked the water: protecting the waterways and villages, piloting ships, ferrying goods and people, and harvesting our delicious seafood. Our Museum is an exciting, vibrant community where staff, members, volunteers, and guests come together to develop, provide, and enjoy museum programs and to just have fun along the shores of the historic York River. Please join us and become a part of America’s coastal heritage. We are always seeking new members and volunteers to help us tell the stories of yesterday and today. Please consider getting involved with our on-going educational programs, boat and facilities maintenance and upkeep, or just attending any of our classes, monthly, monthly, annual, or special activities. We promise you will have a good time. It’s a great time to be a member of the Watermen’s Museum. The Museum has continued to expand programs and exhibits over the past few years. In addition to our popular monthly TGIF member events, and public events such as Wine on the Water, we offer great family programs, such as: Pirate, Archaeology, Nature Explorer, Boatbuilding, Maritime Trades, and All-About-Boats summer camps; 13 school field trip programs for K-12 and college students; and additional tailored programs for students with special educational needs. Our boat shop is a beehive of activity, with many historic boats built and refurbished, including boats used in movie presentations such as “TURN”. If you like using your hands to fix or create things from wood, let us know. 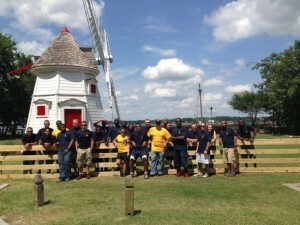 The Boat Crew volunteers are always seeking additional members. Our land-based sail training boat (often called the Dry Ship) serves as a focal point for school field trips, children’s programs, special events, evening education and entertainment programs, and increased opportunities to learn about lives along the Chesapeake Bay. The Watermen’s Museum is a small, efficient organization. Through volunteer support, leveraging resources, and combining fee-based programs with free programming the Museum is able to reach large numbers of visitors with a small budget. Yet, despite our frugality, we still need funds to help maintain this waterfront treasure. Please consider a cash donation to support scholarships, the boat-building program, special needs educational programming, environmental programming, landscaping, and other important needs. Contact Steve Ormsby, at 757-887-2641, to discuss our programs and how you may best support them. Our Museum is a small organization doing great big things. But, we need your help. Your donations help us teach many more children and adults about the Maritime history surrounding the Virginia Indians, Yorktown as a major colonial port, the Battle of Yorktown and the on-going rediscovery of the Cornwallis Fleet shipwrecks, the War of 1812, the American Civil War, and much more. Kids also learn first-hand about the seafood bounty of the Chesapeake Bay and the role commercial Watermen have played in harvesting and guarding the Bay. Please help us through a small donation. 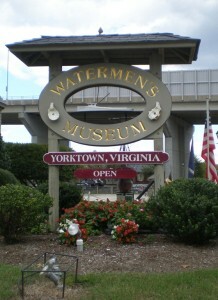 The Watermen’s Museum has a nondiscrimination policy that the organization, our staff, and our working volunteers will not, by policy or practice, discriminate against any person or group on the basis of race, color, religion, gender, sexual orientation, national origin, age, disability, gender identity and expression, marital or military status, or based on any individual’s status in any group or class protected by applicable federal, state or local law.